Flaherty Fardo takes extreme pride in its efforts to stop elder neglect in Allegheny County, PA. In our region of Southwestern Pennsylvania, the 85-and-older age group has reached a record high of more than 50,000, a 41 percent increase since the beginning of the decade. When we prosecute these cases, we demand justice for the elderly, and work hard to maximize recover for both the elderly and their family. sudden large withdrawals from bank accounts or changes in banking. Nursing home abuse and elder neglect can take many forms. Although federal and state laws generally require that nursing homes develop a responsible plan of care and employ enough staff to provide quality care in all areas of the care plan, they often fall short. As a result, residents are not taken care of the way they should be and unfortunately, some elderly are still abused in hospitals and skilled nursing facilities. financial abuse (e.g., stolen money or property) Most states define neglect in a nursing home setting as the failure to provide residents with services that are essential to health and safety, such as sufficient food, shelter, clothing, supervision, and medical care. If you believe a loved one has been the victim of abuse or neglect, it is important to document the incident as soon as possible. An incident report should be filed with the health care provider, local police and/or state agencies (depending upon the severity). 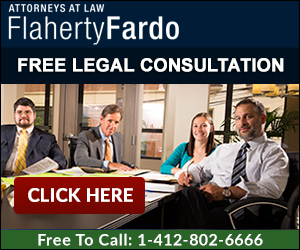 If you have any questions about a case involving mistreatment of the elderly, Flaherty Fardo offers free consultations. Consultations can be done on-line or by calling our offices at 412.802.6666.